Dr. Alfred Cardet, MD is a Doctor primarily located in Panama City, FL, with other offices in Panama City, FL and Crestview, FL (and 1 other location). He has 36 years of experience. His specialties include Orthopedic Surgery and General Practice. Dr. Cardet is affiliated with Healthsouth Crestview Surgery Center, Sacred Heart Hospital - Emerald Coast and Lake Charles Memorial Hospital - Family Birth Center. He speaks English. Dr. Cardet has received 3 awards. The overall average patient rating of Dr. Alfred Cardet is Good. Dr. Alfred Cardet has been rated by 18 patients. From those 18 patients 4 of those left a comment along with their rating. The overall rating for Dr. Alfred Cardet is 3.3 of 5.0 stars. I met Dr. Cardet towards the end of 2012 or 2013 when he did my right shoulder surgery. I did all the therapy and everything he told me to do. In my last appointment I told him my shoulder was still hurting and he thought I only wanted pills like I was a junkie or something. Now here it is and it's 2019. Dr Cardet put a "dissolvable" bracket or clip in my shoulder when he "fixed" it. Now I'm having to have a second surgery this year to remove the bracket because it's still there. I was told I couldn't see my original doctor because he had to retire or something along those lines. I'm 25 and can't use my right arm at all. It's also out of the statue of limitations and I have no other options but getting the surgery. Best Doctor alive,saved use of my right arm. 20 + years still good. 2 Plates 15 screws. I saw Dr. Cardet today after my doctor left the practice I was using. I was very impressed with him. Great doctor. So nice and caring. Had scope on shoulder and he did an awesome job. Dr. Cardet is affiliated (can practice and admit patients) with the following hospital(s). We are sorry, it looks like we don't have insurance information. Please call Dr. Alfred Cardet's office for more information. Take a minute to learn about Dr. Alfred Cardet, MD - Orthopedic Surgery in Panama City, FL, in this video. Dr. Alfred Cardet is similar to the following 4 Doctors near Panama City, FL. Dr. Alfred Cardet Is this you? 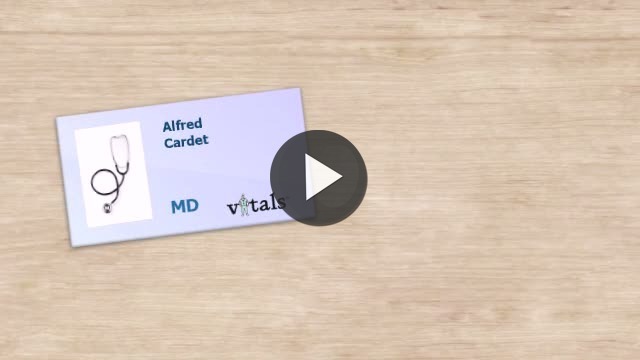 Have you had a recent visit with Dr. Alfred Cardet? Select a star to let us know how it was.